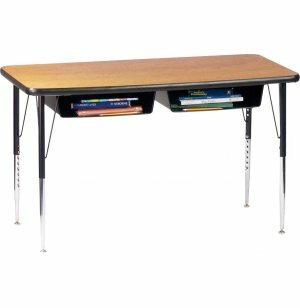 These dual student desks are sturdily built for long-lasting use. 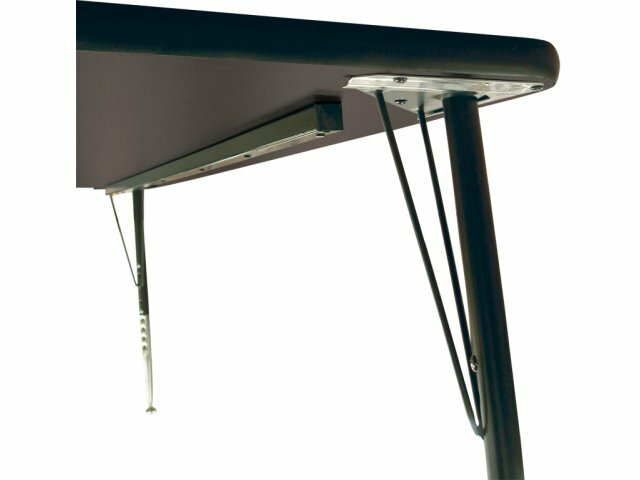 The work surface support provided by the legs is reinforced by open hairpin braces in each corner. 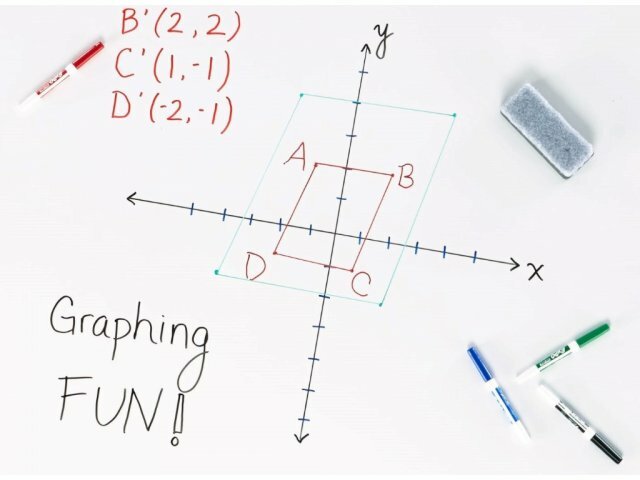 Twice the Functionality - For Less! 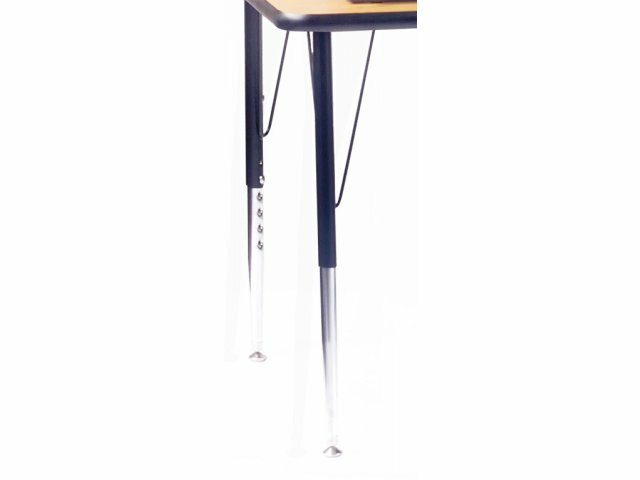 Form meets functionality at an amazingly affordable price in these attractively designed dual student desk units. 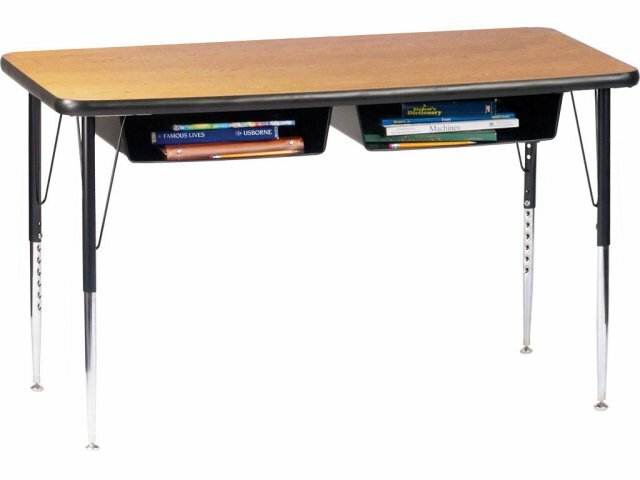 These school double-desks are a smart and space-thrifty solution for today's classrooms. 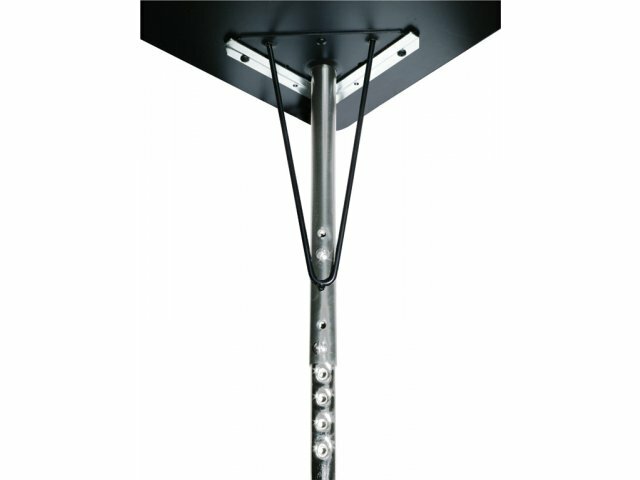 Adjustable-height legs accommodate students of all ages. 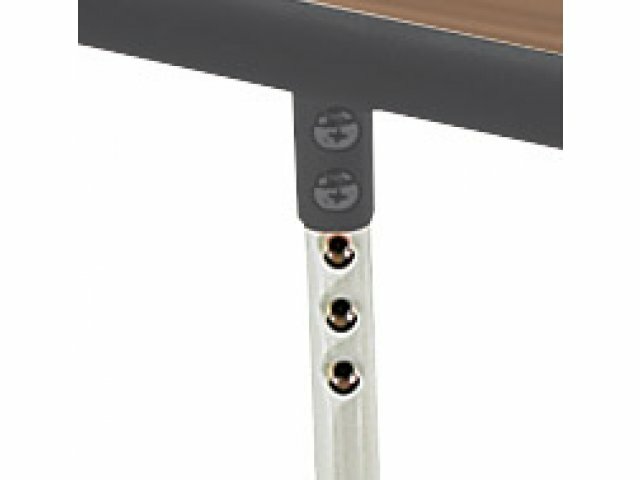 Long Lasting Strength: Open hairpin braces provide leg stability and extra support for increased durability. 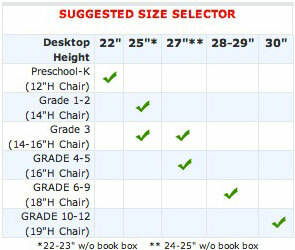 Economical: Steel tubular frame easily accommodates two students. 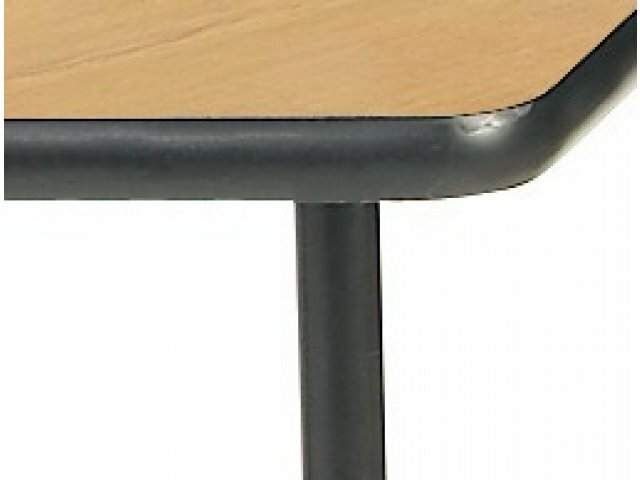 Smooth Writing Surface: High-Pressure Laminate desktops. 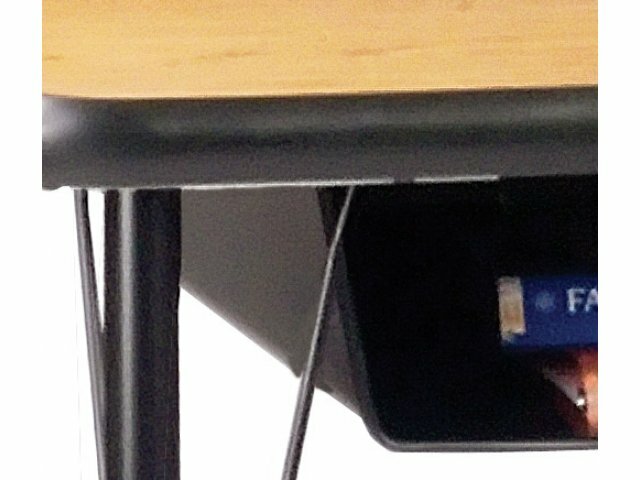 Convenient: Open-front steel bookbox under desktop.